A Nevada woman was convicted by a federal jury today for her role in a drug trafficking ring that supplied between 150 and 250 pounds of methamphetamine annually to the Jersey City, New Jersey, area from 2004 through 2014, U.S. Attorney Paul J. Fishman announced. Margaret Tiangco, 40, of Las Vegas, was convicted of one count of distributing methamphetamine and one count of conspiring to distribute methamphetamine after a one-week trial before U.S. District Judge Kevin McNulty in Newark federal court. The jury deliberated for less than an hour before returning the verdict. In 2003, Tiangco moved to Orange County, California, where she made contact with bulk suppliers of methamphetamine and brokered an agreement to ship as much crystal methamphetamine to New Jersey as the other conspirators could sell. Over the course of the next 10 years, Tiangco served as a broker, distributor, retailer and organizer in the network as she travelled between Orange County, California, Las Vegas, Nevada, and Jersey City, New Jersey. Tiangco and at least 14 others B all of whom have since pleaded guilty B were arrested in 2014 on methamphetamine distribution and conspiracy charges. For more than one year, the DEA High Intensity Drug Trafficking Area Task Force (HIDTA) led an investigation into a methamphetamine distribution network that operated in at least seven states and was responsible for shipping between 150 and 250 pounds of methamphetamine annually to the Jersey City area from 2004 through 2014. Agents performed numerous controlled purchases of methamphetamine from members of the conspiracy using confidential informants. Between February 2014 and May 2014, agents obtained court orders to wiretap phones used by John Freehauf, 39, of Jersey City, a former immigration officer with U.S. Customs and Border Protection who was one of Tiangco’s conspirators. 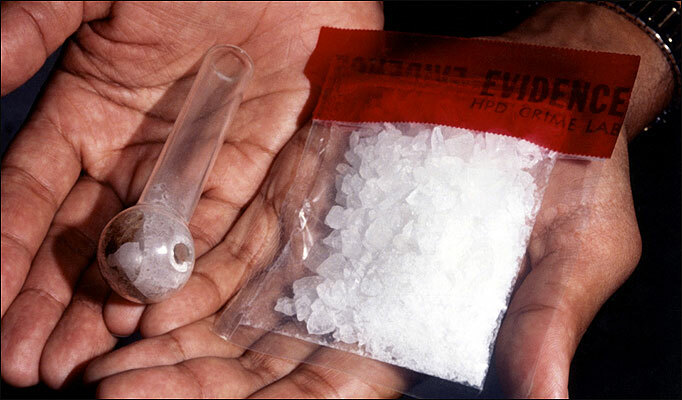 The distributing methamphetamine and conspiracy to distribute methamphetamine counts each carry a minimum penalty of 10 years in prison, a maximum penalty of life in prison and a $10 million fine. Sentencing is scheduled for Nov. 19, 2016. U.S. Attorney Fishman credited special agents of the DEA, under the direction of Special Agent in Charge Carl J. Kotowski; inspectors of the U.S. Postal Inspection Service, under the direction of Acting Inspector in Charge Cynthia Shoffner; law enforcement officers from the N.J. National Guard Counter Drug Task Force, under the direction of the Adjutant General, Brig. Gen. Michael L. Cunniff; the Edison Police Department, under the direction of Chief Thomas Bryan, and the Joplin, Missouri, Police Department, under the direction of Chief Matt Stewart, with the investigation leading to today’s verdict. This case was conducted under the auspices of the Organized Crime Drug Enforcement Task Force (OCDETF). The principal mission of the OCDETF program is to identify, disrupt and dismantle the most serious drug trafficking, weapons trafficking and money laundering organizations and those primarily responsible for the nation’s illegal drug supply. The government is represented by Assistant U.S. Attorneys Adam N. Subervi and Sharon Ashe of the U.S. Attorney’s Office Criminal Division in Newark. Defense counsel: Paulette L. Pitt, Esq.